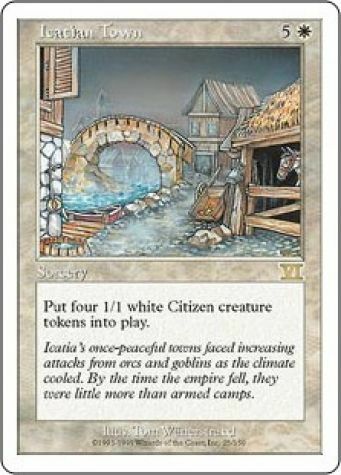 Put four 1/1 white Citizen creature tokens onto the battlefield. 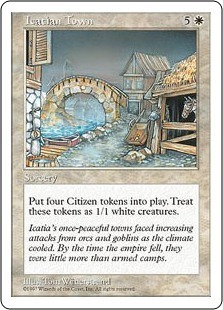 Icatia's once-peaceful towns faced increasing attacks from orcs and goblins as the climate cooled. By the time the empire fell, they were little more than armed camps.